Filmmaker Dave Campfield was nice enough to put the answers to my questions on film and edit the whole thing into a nice 8-minute interview-piece ... Thanks a bunch, Dave. 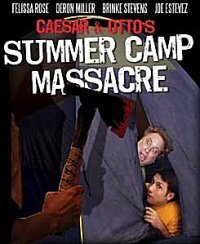 Your movie Caesar and Otto's Summer Camp Massacre - in a few words, what is it about? Let's just say that Caesar is an effeminate tough guy, kind of like if you genetically melded Moe from the Three Stooges with Norma Desmond from Sunset Bouldevard. And then you have Otto, who's basically the world's laziest man. He is a hopeless romantic who falls in love with virtually every woman he has ever laid eyes on. Caesar unintentionally punches out the mentally challenged brother of the chief of police. 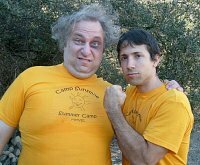 He and Otto have to go into hiding - as summer camp counselors at the strangely vacant Camp Sunsmile. Carrie shows up - who's played by Felissa Rose, and the summer camp counselors begin disappearing one by one, and Caesar and Otto piece together the mystery before they themselves become the next victims. How would you describe the humour of Caesar and Otto's Summer Camp Massacre? Part Three Stooges, part Abbott and Costello, Dumb and Dumber - I throw these kind of characters into an 80's slasher film, a low budget 80's summercamp slasher film. Why did you figure the characers of Caesar and Otto would work within the slasher genre, and is the slasher a genre dear to you, personally? 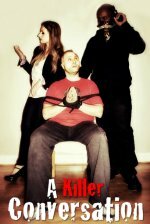 I made a $700 comedy called Caesar and Otto, and when an opportunity came up to make a movie with the producer of Dark Chamber, I pitched the idea to put these Caesar and Otto-characters into the middle of a slasher film. The producer liked the idea, and it evolved from there. 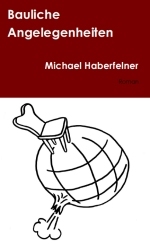 Your sources of inspiration when writing Caesar and Otto's Summer Camp Massacre? I remember watching a lot of older movies like Abbott and Costello Meet Frankenstein, and Abbott and Costello Meet the Mummy, Meet Boris Karloff - they don't really make that kind of film anymore. So that was very much the inspiration for writing this film, trying to make a modern day equivalent of that, granted on a much lower budget. I wanted to make sure that the low budget didn't hinder the comedy, I wanted to make it part of the absurdity. A few words about your cast: What can you tell us about yourself and Paul Chomicki as Caesar and Otto? We started off doing sketch comedy in basements - probably this basement right here. It's basically through one of these exercises that Caesar and Otto evolved from. And years later, that became the basis of these feature films. Paul is my good friend, and hopefully we have a lot more Caesar and Otto-films left in us. Felissa Rose, the girl (?) from the original Sleepaway Camp? Felissa Rose I met on the set of a local commercial, and I was telling her about this independent thriller I was writing. She was really interested and said she wanted to audition. I had no idea that she was the star of Sleepaway Camp. We forged a friendship from then, and I wrote this thing without knowing if she would accept it - so thank you Felissa for saying yes to the role, I don't know what I would have done if she didn't do it. Felissa's friends with Deron Miller. When he heard about the project, he wanted to get involved in it ... of course, it's Deron Miller, if he wanted to play Caesar, I would have let him. We got along really well, he very much understood where I was coming from, we definitely forged this rapport. Months later, Felissa called me and told me Deron had this idea for a story, and he wanted to adapt it into a screenplay with me, and if I could fly out there and develop it with him ... and co-writing with Deron was the best collaborative experience I've had. He actually has a much extended part in Caesar and Otto's Deadly Christmas. Genre icon Brinke Stevens [Brinke Stevens interview - click here]? Brinke Stevens knows her stuff! She knew everybody's lines, did her stuff in just a few hours, and was extremely pleasent along the way. So without a doubt I had to bring her back for Caesar and Otto's Deadly Christmas. 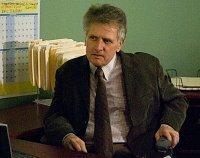 Joe Estevez is more fun than any human being has the right to be, and if you're a big Joe Estevez fan, be sure to buy yourself a copy of Caesar and Otto's Summer Camp Massacre, because there's a 25 minutes exclusive interview with him. 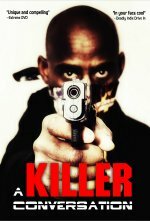 Films like this, low budget, micro-budget indie films rely so heavily on the crew, so I really gotta thank people like Robin Ritter, Christian Voss and Summer Ferguson - everybody who was involved on this crew day-in and day-out, working for nothing, just for their belief in this project. You have previously used the characters of Caesar and Otto in the movie Caesar and Otto. What can you tell us about that movie, and what were the inspirations for the characters to begin with? The first Caesar and Otto-film was much more akin to Dumb and Dumber meets The Truman Show. These two half-wit half brothers become part of a reality TV sitcom of which they themselves don't know they're on. And if you're a big fan of the Caesar and Otto-characters make sure to visit the original website - http://www.caesarandotto.com - I'll make the first film available for steal starting in October or November. As far as I know, you are currently in post production of a third feature featuring Caesar and Otto, Caesar and Otto's Deadly Christmas. Anything you can tell us yet about that movie already? Caesar and Otto's Deadly Christmas is the darkest, goriest and funniest Caesar and Otto-film with the most heart. I'm currently editing it right now, and we should have it done for X-mas. Any future projects beyond Caesar and Otto's Deadly Christmas? While the bulk of your movies are comedies, your first film was actually a serious horror effort, Dark Chamber/Under Surveillance. What can you tell us about that movie? Dark Chamber was my debut film. It was very much my attempt to tell a modern day Hitchcockian story. There's not really any gore in the piece, it's much more character, drama, mystery, strong atmosphere and plottwists. I got tired of just the same old gorefest, and the only way I was willing to do a gorefest was making a joke of it, and that's what we're doing with the Caesar and Otto-films. How did you get into filmmaking int he first place, and did you receive any formal training on the subject? I heard a quote from Steven Soderbergh, who said that if you really want to get involved in the film industry, you should probably take that money that you're using for college and put it into your own independent film, because you're gonna be judged on the basis of what you have done and not what you've studied. And that was the genesis of my debut film. My education really came from working with other student filmmakers, as a production assistand, as a grip, publicity, to any myriad of DVD commentaries - that provided for me as much of an education as a $100,000 degree ... it provided more. I'm a big fan of Brad Anderson, who's the director of The Machinist and Session 9. I love the work of Edgar Wright, Christopher Nolan. As a filmgoer, I love anything from On the Waterfront to an action film like Raiders of the Lost Ark. I think it's the best example for that kind of film. But I love some of the lower budget stuff like Steve Miner and William Katt and Ethan Wiley's movie House from the 80's ... I enjoy a very wide range of movies. I'm not a big fan of when films just shock you for the sake of shocking you, like "look how absolutely disgusting and tasteless this is" ... there is no reason for being that disgusting and tasteless other than the fact that they want to shock you - that's then like snuff, I'm not much interested in that. And also I'm not a big fan of films that have done what everybody else has done before without trying to reinvent it in some way. Everything I've done is an attempt to breathe fresh life into familiar materials. Whether I've succeeded or not, I don't know. And Caesar and Otto's Summer Camp Massacre was an attempt to not do just the same old Shaun of the Dead-ripoff or Zombieland-ripoff lot of low budget filmmakers make. I wanted it to be something that's fresh again. I got an official website - http://www.caesarandotto.com.